We purchased the condo in 1976 and permanently moved to Maui in 1990. 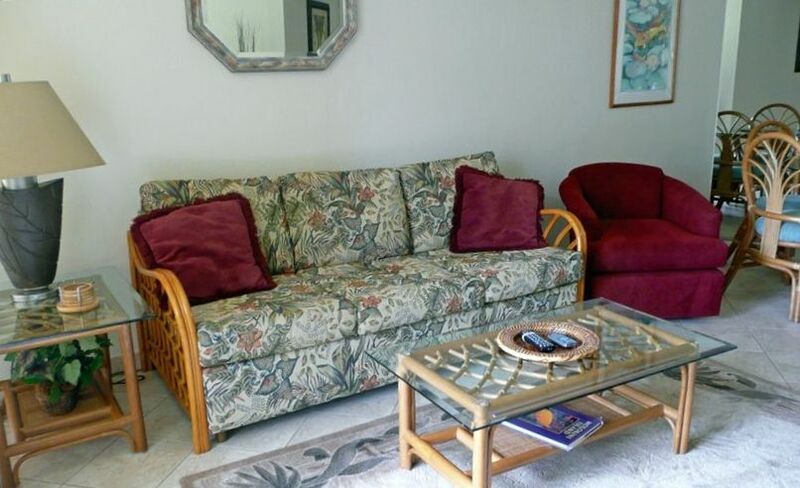 We personally oversee the condo, you will find it in immaculate condition and very well stocked. We hope you will come explore Maui and see why we say, Maui No Ka Oi, Maui is the Best! Kauhale Makai is centrally located in Kihei, 15 minutes from the Kahului Airport, less than one mile to shops, restaurants, golf, Banks and the Post Office. The central A/C is a real plus, providing year-round comfort. Central a/c for your comfort! Coin operated laundry facilities on various floors in the building. Bath towels, kitchen towels and beach towels are provided. Fully furnished and well stocked!!! Furnished with a table and chairs so you can enjoy outdoor dining. The road to Hana, sunrise at Haleakala (reservation required), Whale (seasonal Dec. - March), Maui Ocean Center Aquarium, Historic Lahaina town, stand-up paddling, kayaking, windsurfing, kitesurfing, the Kula lavender farm, the Upcountry winery are just a few of the wonderful things you can explore and experience on Maui.